Japanese auto major Suzuki Motor Corporation has released the official image of the all new Vitara SUV. 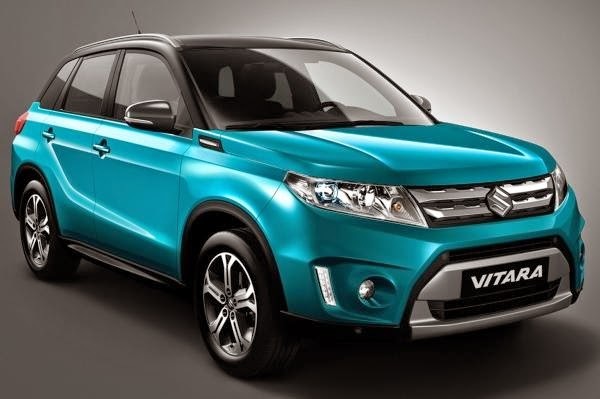 The new Vitara is based on Suzuki’s iV-4 concept shown first at Frankfurt Motor Show in 2013. The new Vitara will compete with Nissan Juke and Ford Ecosport Internationally. The all new Vitara will be offered with a four-wheel-drive option developed by Suzuki called AllGrip system. S-Cross 1.6L petrol and diesel engine will find its place here. Suzuki says the all new Vitara will have a striking road presence with distinctive design with customers having option of personalising the car with various colour and trim customisation options. Suzuki S-Cross has been confirmed for Indian market to be launched in 2015. Hopefully we might get the all new Vitara in India a year later.